These Asian inspired meatballs are out of this world! Made with ground turkey, ginger, scallions, cilantro and sesame oil with a tangy sesame-lime dipping sauce. You can make these for dinner or serve them as an appetizer by making them half their size and setting out toothpicks for dipping into that delicious sauce. A few of my other favorite meatball recipes are Asian Turkey Meatballs with Gochujang Glaze, Buffalo Chicken Meatballs, Sweet ‘N Spicy Turkey Meatballs with Bacon and BBQ Sauce, and Eggplant “Meatballs”. I first posted these meatballs back in 2010 and the quickly became a fan favorite! Often I served them with brown rice or Asian “fried” brown rice, but lately I’ve been on a zoodle (zucchini noodle) kick and made them for dinner this week served over these zucchini noodles for a low-carb meal and they were fantastic! To make the zucchini noodles, you’ll need a spiralizer (I love my Paderno Spiral Vegetable Slicer) or a mandolin fitted with a julienne blade. You can see my Italian Zoodles and Meatball recipe here for more detailed instructions if you wish to make this as a side, the only difference was here I used sesame oil to cook the zucchini. In a large bowl combine the ground turkey, panko, egg, salt, scallions, garlic, ginger, cilantro, 1 tbsp of the soy sauce and 2 tsp sesame oil. Gently mix with your hands until combined well. Shape meatballs 1/4 cup in size and transfer to a baking sheet. Bake until cooked through and browned, about 15 to 18 minutes. For the dipping sauce: mix the lime juice, water, soy sauce, and remaining 2 teaspoons of oil in a bowl. Add the scallions and set aside. Transfer the meatballs to a serving dish. Stir the sauce, then drizzle the meatballs with a little of the sauce. Serve the meatballs with the remaining sauce on the side. These were so easy to make and so delicious like all of your recipes! I haven’t found a bad one yet! My kids (age 3 and 1) liked them too! Absolutely wonderful meatballs. I use a cookie scoop and place on baking pan instead of rolling into perfectly-round meatballs. I have used just a pound of ground turkey (16 oz) and keep all the other ingredients the same proportion. I often add an extra garlic clove as well. My family eats these without the dipping sauce. With the leftover cilantro bunch, I make chimichurri sauce and have used that in the meatballs instead of the cilantro/sesame oil. That way I can take the sauce out of the freezer (frozen in ice cube trays) and have a close proximation of the recipe if I don’t have fresh cilantro on hand. Overall, just a really great recipe that even my husband will eat and he doesn’t care for cilantro. These were so delicious and moist on the inside while having a yummy crispiness on the outside!! I will for sure save this recipe!!! These are fantastic! I am on the Dukan diet so low fat/low carb options are important to me. I go through a lot of ground turkey based recipes as a result and I’ve tried many turkey meatball recipes – this is one of my favorites!!! The only tweaks I made because of my diet was I swapped out the breadcrumbs with a few tablespoons of oat bran fiber since I’m allowed to have that and I used 99% lean turkey. I use these as a snack with a bit of sriracha or I throw them into a zucchini or shirataki noodle stir fry. Absolutely delicious!!! These are in the oven right now. I was not able to get 12 meatballs out of 1-1/4 lb of ground turkey when I measured with a 1/4 cup. I have been making these for years. We love them! They taste great with pork instead of turkey as well. Thanks for the recipe! 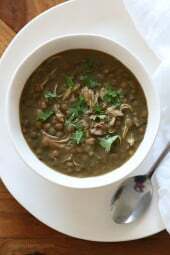 This is one of my absolute favourite recipes!! I usually take it as party food (where everyone raves about them) – but have also used this filling in stuffed baby mushrooms. The only changes I make is that I include some finely chopped water chestnuts to the meatballs for crunch and some sliced fresh red chilli to the sauce for presentation. I made these today. They were delicious! I will definitely make these again. The only ingredient I didn’t have was fresh ginger, so I substituted with dry ground ginger. And I set the oven to 450 degrees for 12-13 minutes. They were perfect! Love this recipe! Making it tonight! It is a family favorite. Family favorite! I serve with a broccoli carrot edamame slaw! I make these over and over and NEVER get tired of them! They’re even great cold!! Great recipe. So what is the desired temperature? Dying to make but need to know the temp and time!!!! Hurry they look so good! These are very tasty! Everyone in our house likes them! Very flavorful and so easy to make! What would the points be for the meatballs with the new Freestyle program? When I put in the nutritional information into WW, the points are 6; however when I put in the ingredients the points are 2. Thanks! And I have made this many times – what a great dish! The very first SkinnyTaste recipe that I made…..and I was hooked! These meatballs and dipping sauce are DELISH! Great for a main course and as an appetizer! Made this again a few days ago and as usual excellent and tasty recipe, I make this recipe with my tweaks of Hot Chili Sesame Oil in place of regular sesame oil. I bake them on a silicone baking mat which helps to draw out the small amount of fat left, then place them on a baking rack to drip any excess left. Still great recipe! Thank you for this recipe! I found this on Pinterest about 3 years ago and have been making them ever since. I now make a minimum of 3 lbs, as my family likes to have leftovers the next day! Hubby and 2 boys approved! I made these last night and I couldn’t find our regular sesame oil, so I used Hot Chili Sesame Oil and used 5 garlic cloves. Being Italian my husband LOVES garlic. In the sauce I added a pinch of minced ginger and lime zest the whole recipe came out amazing. I also topped it over zoodles. 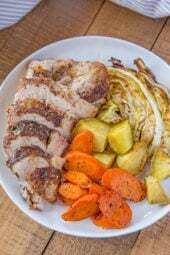 We picked up a chili ponzu sauce that was phenomenal with this recipe, we used both sauces to try out. My husband was not a fan of turkey at all and really disliked it but a lot of your turkey recipes have really impressed him. Well done. Are you using toasted sesame oil in the meatballs? 2 tsp seems like a lot. Thank you. I made these last week and we all LOVED THEM. My 7 year old even loved them, and she doesn’t usually like new things. I will be making these a staple in our house! Love to hear it Kelsey! If I’m making 2 lbs of turkey how do I calculate how much more of the other ingredients you need to add? My 4.5 year old had such a good time helping me make the zoodles! Every single one of your recipes that i’ve tried are so flavorful…this one did not disappoint! My husband was on the fence, but after he tried it, he said I’d eat this again! Thanks for a healthy dinner! I have made these twice now and the are amazing. My girlfriend came over and we made them together the first time. We are both big fans of your website. The meatballs are so savory delicious while the sauce is tangy and amazing. I very lightly saute the zoodles to where they are warm, but still firm (we do not like mushy veggies). Absolutely delicious! May just be my favorite recipe of all time! I absolutely love this site! Just made this meal and it was absolutely delicious! Your site has proven to my husband (and the rest of my family) that healthy CAN be delicious. I tried cooking healthy for many years, and most times the result has been quite disappointing. It’s so disheartening to spend so much time and money trying to cook healthy, only to find out nobody really liked the flavor of the final meal. Your website has changed all that, and I cannot thank you enough. I have made many of the recipes and we love just about everything! 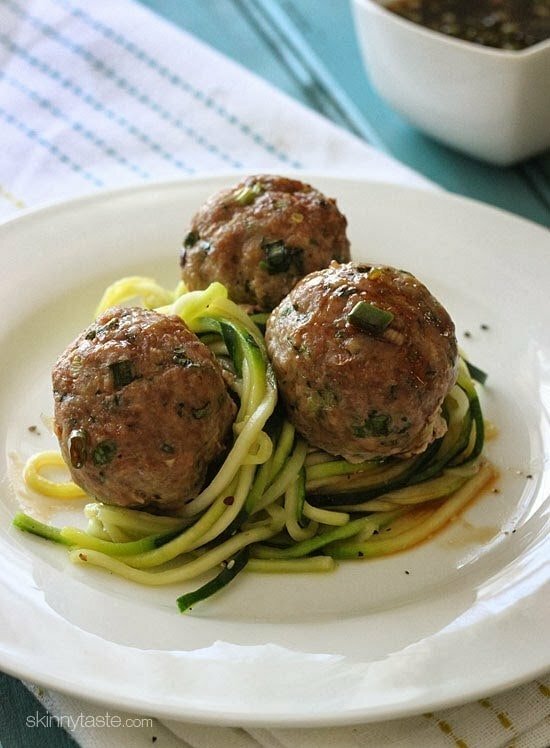 These meatballs and zoodles are our new favorite. Next time I’ll be sure to double the recipe. I wonder how they would freeze? 500 degrees is too high heat. I reduced to 450 and they were a tad over cooked. I’d reduce to 375 or 400 even. You don’t want dry meatballs! That said, the flavor was great. Added chilli oil. Loved it!! Full of taste. 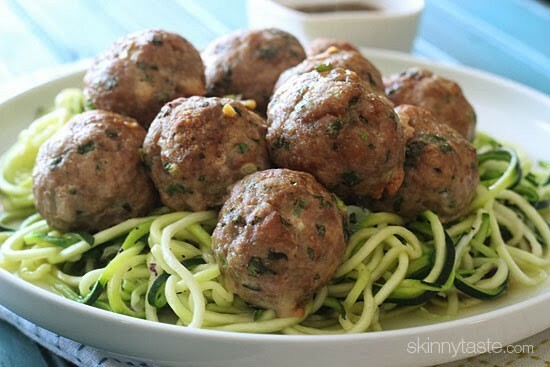 These are one of my favorite meatball recipes! Thanks so much for sharing! Just wanted to say I just found this on Pinterest and made this recipe this week, and it rocked! The only substitution I made was fresh basil instead of the cilantro, because cilantro tastes like soap to me and my family, but the whole recipe, including the dipping sauce, was absolutely delicious and the most fabulous use of ground turkey I've tried yet. Thank you! Gina – can these be made ahead and put in the fridge uncooked and then cooked when ready for dinner? I LOVE this recipe! I'm making it again tomorrow for a dear friend. I use organic ground chicken instead of the turkey, and add some sauteed red pepper to the meatball mixture. I could bathe in the lime sauce…..SOOO GOOD! 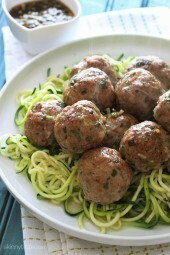 Thanks for posting such healthy & delicious recipes….I have several pinned on Pinterest! 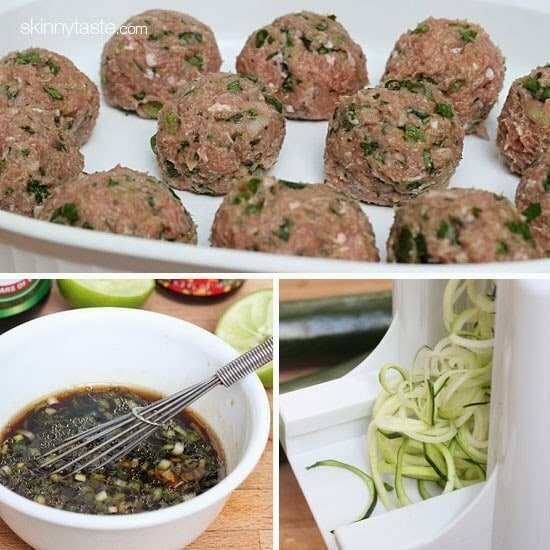 Love these, but I make with ground chicken and add finely chopped water chestnut. Also, I have never set my oven on 500 degrees. For real on that? Why? Are the zoodles included in the points and carbs? Thanks. These are delicious. 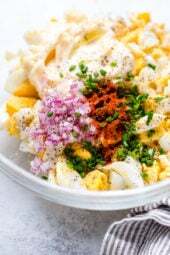 I just wanted to say thanks for the recipe I make them all the time, sometimes I finely chop water chestnuts in there to give them a little crunch. . I'm planning to make these in the appetizer size (say… half the size for each piece) and I am wondering if I should bake them at a lower temperature OR same temperature but with less time. Could you please advise my "beginner cook" self? Made these last night for the first time and they were so good! A new favorite! One of our favorites – with one minor change – after the meatballs are cooked I put them and the dipping sauce in a frying pan for a couple of minutes and the sauce becomes this glorious glaze. Love the cookbook Gina! I made these and love them!! How would you do these in the slow cooker???? Gina, I want to make a double batch and freeze. Would I freeze them raw or cooked? Could these be made in the crockpot? Gina-I'm beginning to prep some freezer meals for when our first baby comes (in 2 weeks eek). We love these meatballs. Should I prep and freeze them raw or cooked? Thanks! This is the 3rd recipe of yours I've tried in less than 12 hours. I'm HOOKED! I love the flavors, the texture and that they are WW friendly! Thank you so much! Recently I was making turkey meatloaf and accidentally reached for the panko. Now I see that I could have used it anyway! The best! Have made these several times, on my menu for tomorrow! Wow Gina, Another FABULOUS, DELICIOUS, FILLING meal! My husband actually said this was his favorite meal of all time so far. (I think he says that after every meal I've made from your site 🙂 I added some sauteed green beans to complete the meal. Thanks again! I've lost 20 lbs since January 1st thanks to your wonderful recipes! OMG these were SO good! I am obsessed with your site and make something from it at least 3 times a week! Thanks for all your awesome recipes! Made this tonight with brown rice and broccoli. It tasted great! These are amazing! I substituted a few things to make these gluten free (GF soy, 2-3 tbsp GF cornflour instead of panko breadcrumbs) and the meatballs were delicious. Everyone loved them! We made this tonight and it was amazing!!! I'm making these tonight and noticed the oven temp is 500 degrees. Is that correct? I reduced to 450 for 120 minutes and they were a little over cooked. Amazing. I make them a few times a month, leaving the recipe as is (I just triple it!). I serve them over drained chicken flavored ramen noodles for the kids. They love them! Thanks! Wow such an old recipe, I’m guessing I added 2 tbsp! it looks like “cilantro” was a typo there – the title of the recipe at the top of the page calls it lime-sesame dipping sauce. i’ve been making this one for years and never added cilantro! 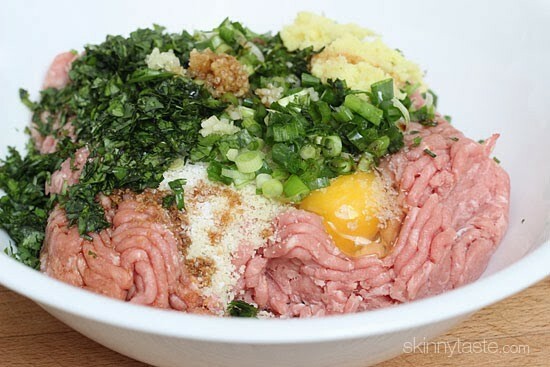 I am going to do this with a mixture of pork and beef! I love Asian food! These were amazing! Packed full of flavor! I found this website a few years ago and cook 4-5 meals a week from it. I have been on WW since last July and this has made it so easy to stick with it. I love food, I love to eat and I love to cook. This site has been a lifesaver for me! Thanks Gina for another great recipe. What is a gluten free version of panko or breadcrumbs? At my local grocery store they do not have gluten free breadcrumbs available. Corn starch? I use a quarter of a cup of cooked white rice as a substitute for the panko. @anonymous Try crushed pork rinds, crushed sarrasin (buckwheat) or psyllium husks…all gluten free! I found this option tonight for making your own gluten-free bread crumbs. Definitely worth a try! I just made these! SO GOOD! My grocery store had ground beef on super sale! So I substituted it. AMAZING!! My husband LOVED THESE! and he hates anything healthy, even remotely! 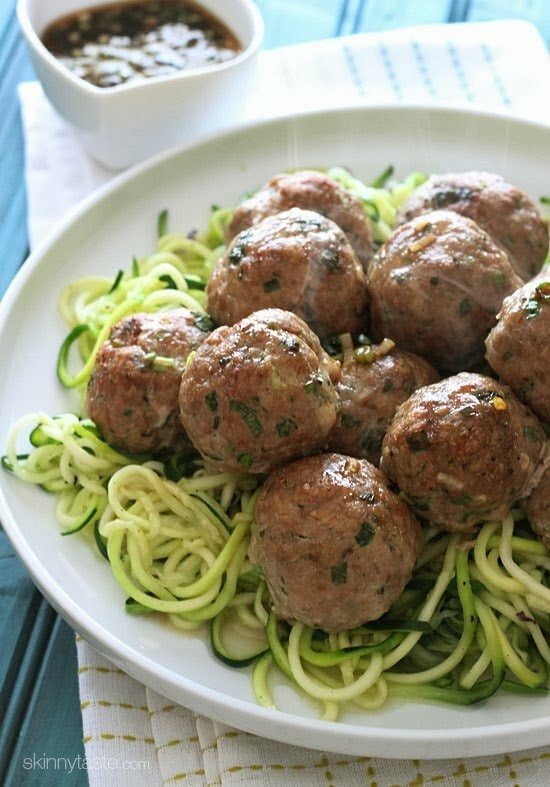 These meatballs are a secret weapon!